Happy Birthday York House! YHS Celebrates Founders’ Day. 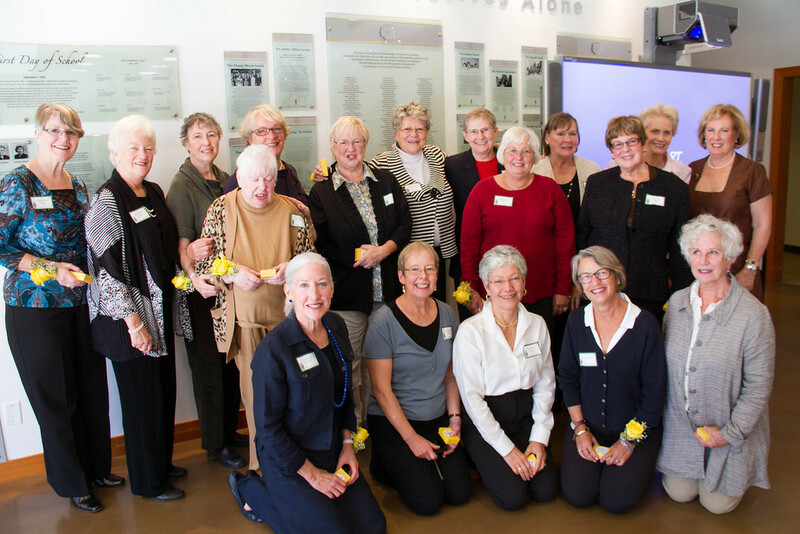 Founders’ Day kicked off with welcoming back our Golden Alumnae, including 19 members of the Class of 1963 who were celebrating their 50th reunion. 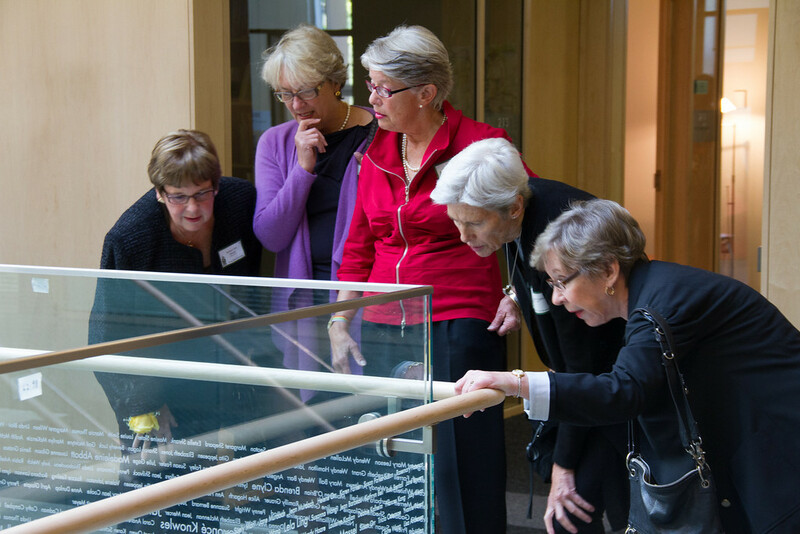 Alumnae toured the new Senior Building and some even spotted their names on the glass panels. At the Golden Alumnae Luncheon, Ragazza treated alums to a glorious rendition of the old hymn “Unto the Hills”. Watch it here. Alumnae received their 70th, 60th and 50th pins. The lunch concluded with the delivery of chocolates by junior students; some of these girls had alum grandmothers in attendance. 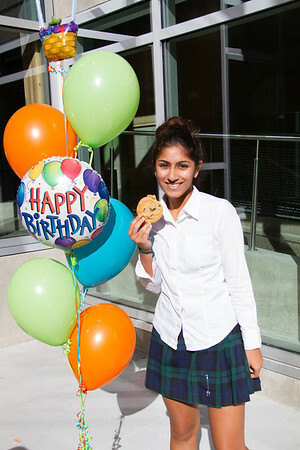 At recess, students and staff celebrated with birthday cookies generously provided by the YHS Parents’ Association. Junior students sang “happy birthday” in the amphitheatre before lining up for their treat. The Class of 2014 was officially inducted into the YHS Alumnae Association. The day concluded with the annual Founders’ Day Assembly. The Class of 2014 was officially inducted into the Alumnae Association, and pins were also presented to four honourary alumnae. 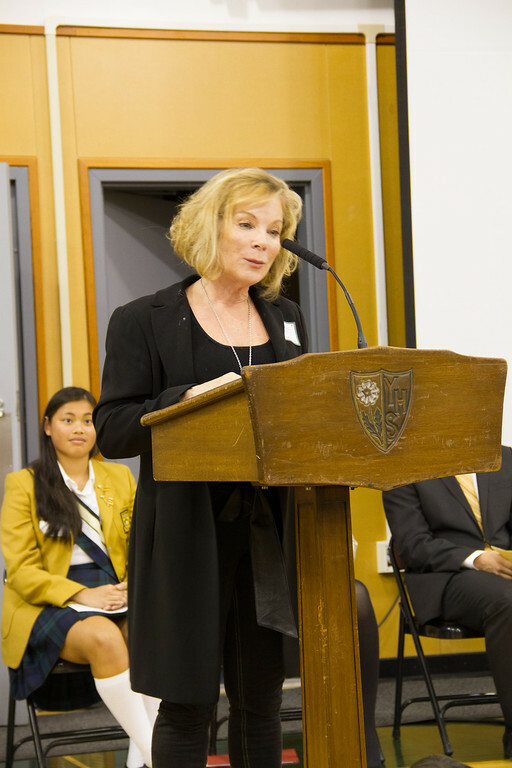 There was a speech by Alumnae Special Achiever, Actor and Director Camille Mitchell ’71, and several special presentations. The Grade 4 class performed the “York House March” (seen in this video) and the Grade 10 Drama class screened a film about the founding of YHS that they wrote, directed and edited in a very short time. 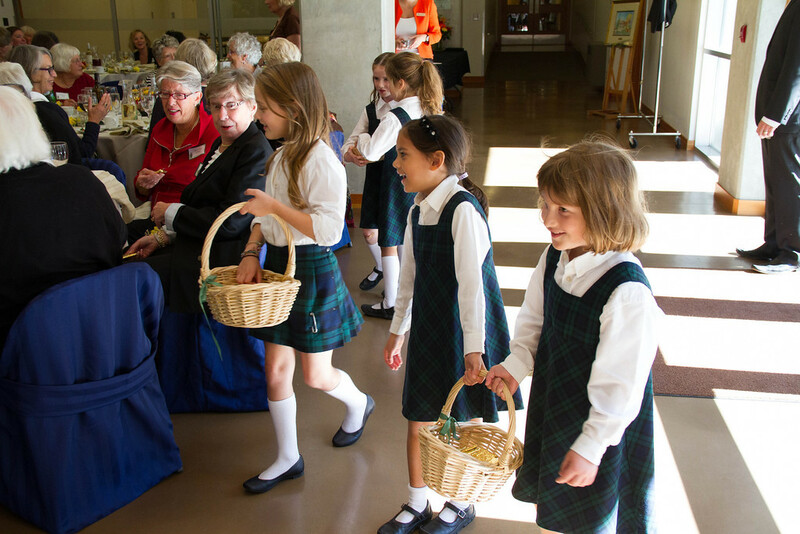 See all the photos from the Founders’ Day Assembly. Would it be at all possible to have a copy of the photograph taken of my daughter Laura Fonda class of 2014 becoming an Alumnae? It is in the slide show of the photos taken at this presentation. I’ll make sure you get a copy. I will contact you via email regarding the photo.